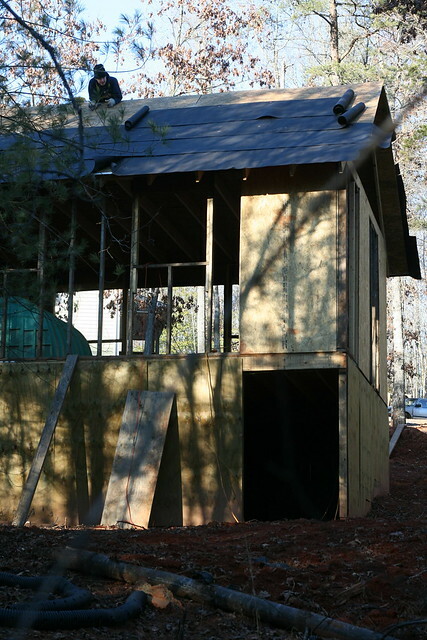 We are slowly making progress on the workshop/barn that we started over two years ago. 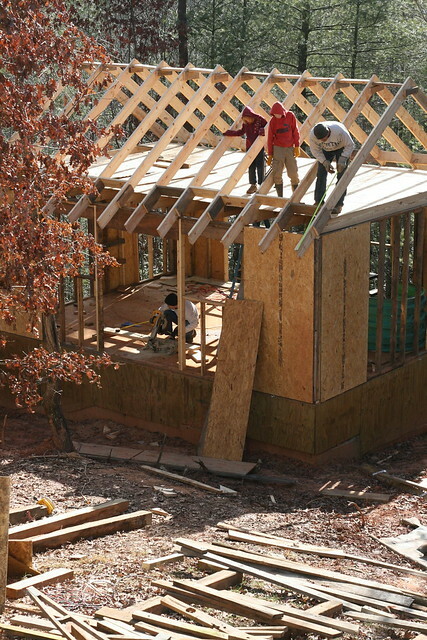 Sid, Lincoln and Rachel work on the attic level, while Sidney cuts boards below at the workshop level. Beneath Sidney is a “basement” that will serve as the barn for the goats and Prairie’s imaginary horse. Sid didn’t think the roof pitch was all that steep until he tried standing on it. It didn’t take him long to determine that a harness was necessary. 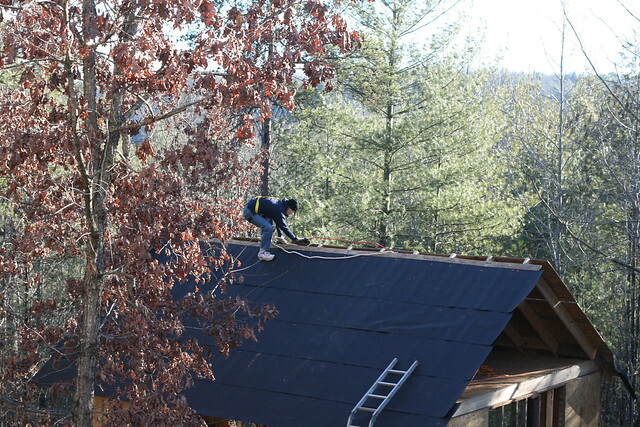 Sidney, our 14 yo son, is working on the roof below. 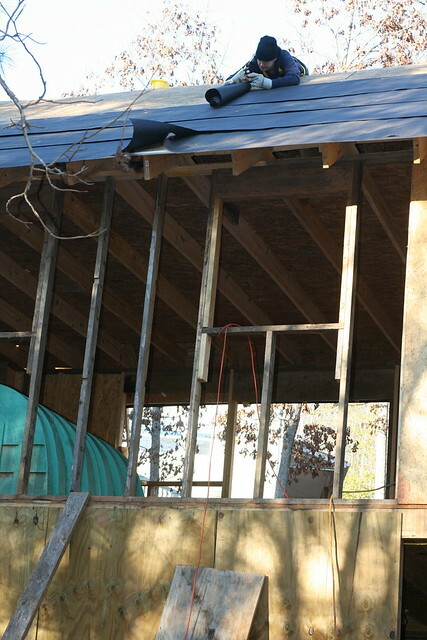 Sid hangs over the roof on the backside, rolling out roofing felt. Here is a wider view of the backside. The goat’s entrance into their barn can be seen below. There will be space down there for the goats to lounge, chew the cud, regurgitate and share bawdy jokes. Well, Gegi, Jeanetta and Daphne are too ladylike for bawdy jokes, but I have strong suspicions about Helen. She is a rebel goat.